There are a few things I found out about recently that I didn’t know about so I thought I’d post them here. You may may also find these useful. This used to be a real pain. Having hundreds or thousands of business contacts I don’t want to be reminded several times a day every time someone has a birthday. From the notifications page https://www.linkedin.com/notifications/ select View Settings, then select Activity in your network and turn off the Birthdays option. I had a design in PowerPoint I wanted to print as a poster and it only exported a low-res version. This article is how you can change the export resolution. It never occured to me to swipe left to see the times individual text messages were sent on iPhone. The crazy thing is there is plenty of room to show the time for each without this, must be an aesthetic design thing. Swipe left and hold to see times. For those of you who are still contemplating your accelerator options after attending our July Meetup Discussion Panel, our panellists have put together some information to remind you what was discussed. Accelerator organisers Louis Go from Vodafone xone and Sam Bailey from Xstart, and accelerator participants Raphael Nolden who attended the Auckland based Flux Accelerator and Andy Masters who attended the Wellington based Kiwibank Fintech Accelerator answer your questions below. Louis Go: Vodafone xone is an accelerator programme as well as an Innovation Lab that supports startups to help take their ideas global. Sam Bailey: Xstart was created in partnership between UC and Christchurch NZ to help support early stage businesses accelerate their growth through the use of a sounding board to assist strategise, commercialise, and capitalise businesses. Raphael Nolden: Knowing which opportunities to take and which ones to leave. Aka prioritisation. Balancing the short term expectations of the accelerator with the long term goals of the company. Andy Masters: I was representing the Kiwibank FinTech Accelerator programme. Startup Christchurch: What are some of the biggest challenges to running/participating in an accelerator programme? Louis Go: Making sure that you are actually providing value to your companies. When we take 9 companies, every single one of them will be at different stages and so the challenge is to understand every single one of them and be able to find the right support to wrap around them that would enable them to scale faster. Sam Bailey: For participants, the biggest challenge is being committed – if you’re in – your all in! Andy Masters: For us, the logistics of getting somewhere to stay in Wellington at a reasonable price at the same time as university courses were starting was unexpectedly hard. Ironic that our product - homeScore is about helping Kiwis get into their own homes. Startup Christchurch: Who/what kind of startups should apply to your programme - are there specific criteria that you are looking for? Is there anyone who SHOULDN'T apply? Louis Go: Each year the xone programme has changed the type of startups that we’re looking for. Our strategy is to find the companies that aligns best with our global company strategy and vision therefore ensuring that we are able to leverage the connection once they are in our programme. This year we took in companies working on AI, Big data analytics, and IoT. Sam Bailey: Businesses using a technology platform to scale up their business. Successful businesses will have a well-defined and well-articulated value proposition. They will likely be about to launch or will still be in the early stage of business development. They will be seeking to commercialise their product, potentially looking for capital to fund their growth and needing assistance to validate strategy and direction. Start-ups with a global outlook wanting to gain first or second round investment. Businesses that have plateaued sales (typically in the range of $500k - $2mill) but are motivated to grow to $10mill+. Startup Christchurch: What should participants expect to get out of it? Louis Go: The xone programme provides a highly tailored support for our xone companies. We understand that every company is at a different stage in their journey. However our key benefits are - $25k funding (0% equity), Co-working space in CHC in the middle of the Innovation Precinct, Access to our Innovation Lab (equipment, technical expertise and advice), Access to Vodafone’s Partnership Network, Access to Vodafone expertise both NZ and Global, Access to international and local mentors and technical expertise, Software Credits. Sam Bailey: Validation and support to assist in business growth from an experienced advisory panel over a period of up to 18 months. Raphael Nolden: An amazing set of mentors you can call on and work with. Investment - in our cohort all companies raised a round either during the accelerator or at demo day/showcase. Andy Masters: To be challenged, to do things that are outside of your comfort zone. To network and build relationships with your cohort, mentors and advisors. Startup Christchurch: At what stage should startups be when they apply? Louis Go: We’re looking at startups who are past the validation stage and is able to show they have traction. Sam Bailey: They will likely be about to launch or will still be in the early stage of business development. They will be seeking to commercialise their product, potentially looking for capital to fund their growth and needing assistance to validate strategy and direction. Raphael Nolden: Flux is best suited for slightly later stage companies who have a working prototype and are figuring out how to scale up. Andy Masters: There was a wide variety of stages of company in our accelerator. We were at a very early stage with some paper sketches and basic validation. 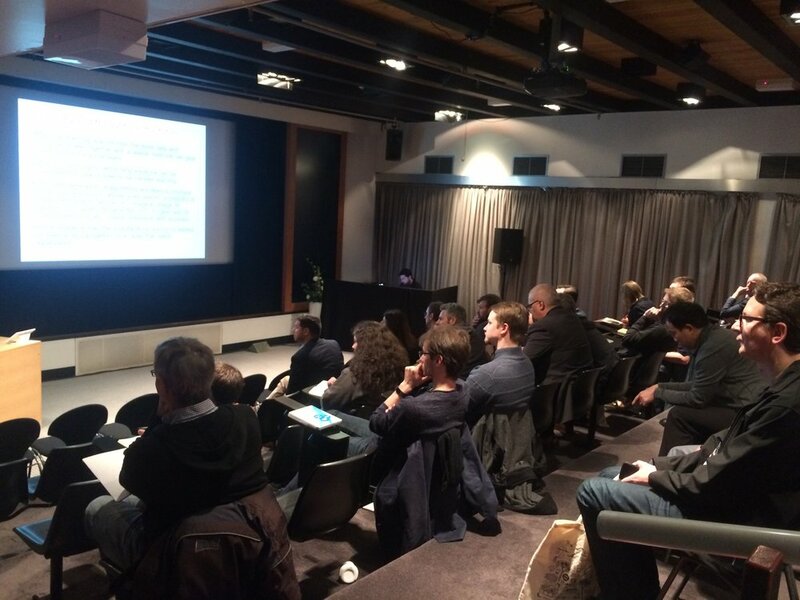 Startup Christchurch: What kinds of resources are available in your programme? Sam Bailey: Businesses will be supported by an advisory panel of experienced entrepreneurs who have been there and done that and looking to support early stage businesses on their own growth journey. Raphael Nolden: Many good mentors including mentor in residence, office space, aws credits, some limited free legal advice, good weekly seminars from good speakers. Andy Masters: There was a steady steam of advise and speakers, in fact at the beginning it was slightly overwhelming how much help there was. The most valuable resource was the 1-2-1 CEO coaching sessions. If you are going to build a great company you need a great team. To build a great team a good place to start is with yourself. Startup Christchurch: Any tips on presenting the best application? Louis Go: Keep it simple and honest. Less is more. Raphael Nolden: Show you are serious and committed and execute on what you promise. Make sure you connect with the team there early and tell them what you are doing and then show on each following meeting how much progress you have made. Andy Masters: I think you need to show passion and purpose. It also helps if you can show a team with a track record and diverse skillsets. Startup Christchurch: How did you manage accommodation and other commitments while doing an accelerator in a different city? How did you afford it? Raphael Nolden: If you want to succeed you need to commit 100%+ I sold my convertible Jag and lived off that! Andy Masters: It was tough, I used savings and we paid for bare living costs with the money we got from being in the programme. Startup Christchurch: What was your accelerator journey and where are you now? Raphael Nolden: We released our first real test product a few days before it started. Since then we have built many new versions. We raised our first round of investment and are currently in negotiations for a number of substantial licensing agreements. Startup Christchurch: What advice would you give to someone who doesn't get accepted into the accelerator of their choice? Louis Go: Ask for feedback. It’s such a great show of character when founders are willing to listen and grow from it. Sam Bailey: Ask for a debrief as to why and listen hard (NB: you should also be asking why you were successful if you were) even if you have been successful. If the answer was a no, this should usually be interpreted as “no, not now”. Understand what is required and work out whether the programme is still critical to your business success. If it is, work hard to meet the challenges set by those who have turned down your application and don’t be afraid to resubmit an application. Raphael Nolden: Just do it anyway and show them they were wrong to miss your opportunity. There are many resources available to help you get started and if you are committed and working on something good then you will find the right people to help you get there! But you need to be willing to look and put the work in! Andy Masters: Try to get feedback about why you weren't successful. Try different ways of pushing forward like travelling to the next city with a Startup Weekend and pitching it, or connect locally with Ministry of Awesome and their Activator programme. Try and talk publicly to as many people as possible about your idea. This well help you improve your presentation skills and offer lots of opportunity for feedback from others. There are three organisations in the Callaghan Innovation's "Tech Incubators" programme which provides pre-incubation grants and repayable loans for commercialising of IP. The organisations are Astrolab, Powerhouse, and WNT Ventures. The programme is designed to support the commercialisation of IP from Universities, Crown Research Institutes, and private sources. Via one of the Tech Incubators a start-up can receive a loan of up to $450k to match $150k of private investment (total of $600k). A pre-incubation grant provides the Technology Incubator with up to $35k to validate the commercial viability of the IP. The Repayable Loan is repaid from sales revenue at a rate of 3% of sales and has an interest rate of 3% per annum. The 3 Tech Incubators presented at Ministry of Awesome's Coffee & Jam during July 2018, see the videos of these events below. It's great to see that NZTA can now send your car rego reminders via email. Young people seem to be using email less and less but in July 2018 organisations in New Zealand are still working to enable these services via email, why wasn't this done a long time ago? We’re excited to announce that you can now get your rego (vehicle licence) reminder by email! During your recent online transaction you showed an interest in this service. Unfortunately we’re unable to update your customer profile on your behalf, however you can easily make the update yourself by clicking Check/change your contact details and following the steps. Once you’ve done that, you’ll receive your next rego reminder by email. Over time, we’ll be making more vehicle-related notifications and communications available to you by email. You can click to renew as soon as you receive a reminder! No more putting your paper reminder aside and forgetting until it’s overdue! It saves you time - no more waiting in line at an agent! It saves you money - you pay less when you renew online! If your rego is due soon we may already have posted it to you but from now on it will come to you by email. Clare Capital publishes a regular email called Tech Insights that analyses and presents data in insightful ways. The latest email is a SaaS Metrics Cheat Sheet which is a great summary of the many useful SaaS (Software as a Service) metrics any subscription based startup should be aware of. The cheat sheet presents some of the most important SaaS metrics in a concise and clear format. As in example image below they are not only showing basic MRR (Monthly Recurring Revenue) but are showing the new customer, up-sells, reductions, and lost customer impact. If you want to subscribe to Clare Capital's Tech Insights email list just email Mark Clare at mark.clare@clarecapital.co.nz. The 2018 cohort for the Vodafone Xone programme have been announced, see the press release. Our Startup community is very passionate about helping each other and we love to hear stories of someone creating another international success from New Zealand. But people are still confused about what we mean by a "startup". They hear the term in different contexts from local small businesses to tech companies. Even companies with 20 or more staff seem to want to use the label. So what is a Startup? Don't like reading, watch this instead. Steve Blank’s three-minute definition is also a good short video that provides additional context and background to his views. So it all comes down to 2 main things; opportunity size and ambition. A startup goes after a large market opportunity with confidence and determination even when there is significant uncertainty. 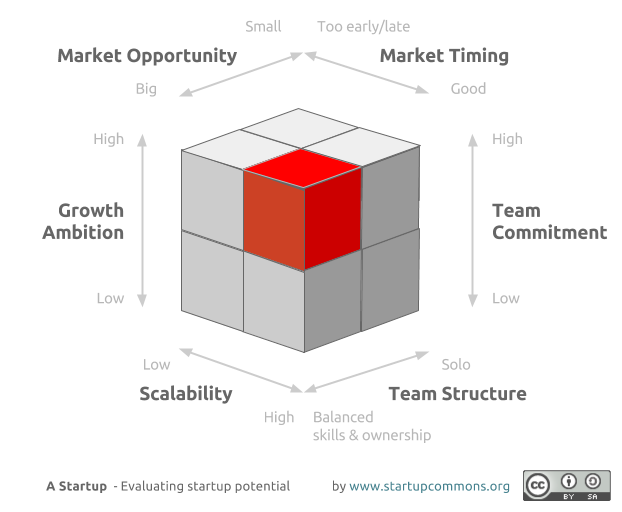 The diagram below from StartupCommons.org is an good way to visualise these startup dimensions. NZ Innovation Council's interim CEO Craig Cotton and partners Robett Hollis and Hamish McLachlan have purchased Innovation Council from KPMG NZ. Early bird tickets are now on sale for the Startup Weekend Christchurch 2018 event. As part of the leadership restructure at Spark Ed Hyde chief of Spark Ventures is leaving the company. "Spark Ventures chief Ed Hyde will leave the country's biggest telecommunications company by the end of June, with his unit being integrated into the wider business"
Wishing you all a Merry Christmas and a safe and Happy New Year. In 2017 I was fortunate enough to work with a number of fantastic entrepreneurs, young and old. Thanks to all of you who had the ambition to give it a go. You are the ones who make a real difference. There are too many of you to mention individually and I would hate to miss anyone - you know who you are. After 5 years I've recently stepped down from the board of Canterbury Tech. They are a fantastic group and I remain a member and wish the new committee all the best. The strength of this group is clearly evident during the recent board elections, with 16 nominees for 3 positions. I live in Canterbury in the startup hotspot of Tai Tapu but work with people across the country, focused primarily on the South Island. Christchurch gets most of my attention but I am a regular in Dunedin which is where my great-great-grandfather and great-great-grandmother arrived from Glasgow in 1858. Working in this space can be exciting but can also be challenging, stressful, and all encompassing. This is the perfect time of the year to remind ourselves to take some time for ourselves and our families, review where we are at and set goals for the new year. Looking forward to an exciting 2018, Merry Christmas and have a safe New Year. Another fantastic Tech Summit was held in Christchurch on Thursday 14th of September 2017. Client Manager - Technology, ChristchurchNZ - Neil Hamilton while Sheralee MacDonald is on 12 months travel leave. Great news that Joanna Norris, editor of The Press has been appointed as the new CEO of ChristchurchNZ (the old CDC/Canterbury Development Corporation).